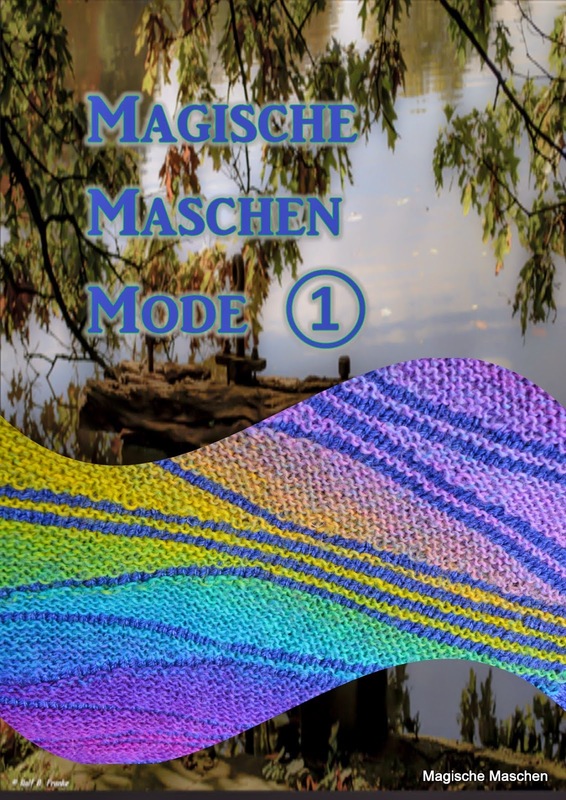 Hurray, the first patterns of Magische Maschen Mode are online! 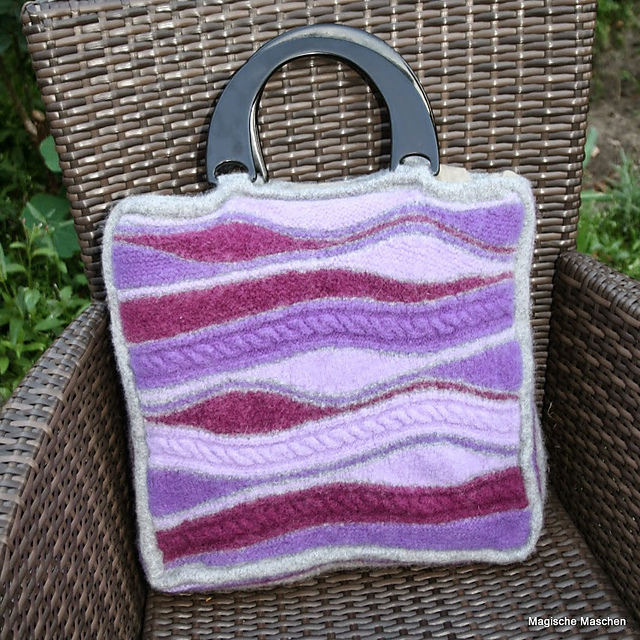 The pattern is available in German and English in my Ravelry Store. 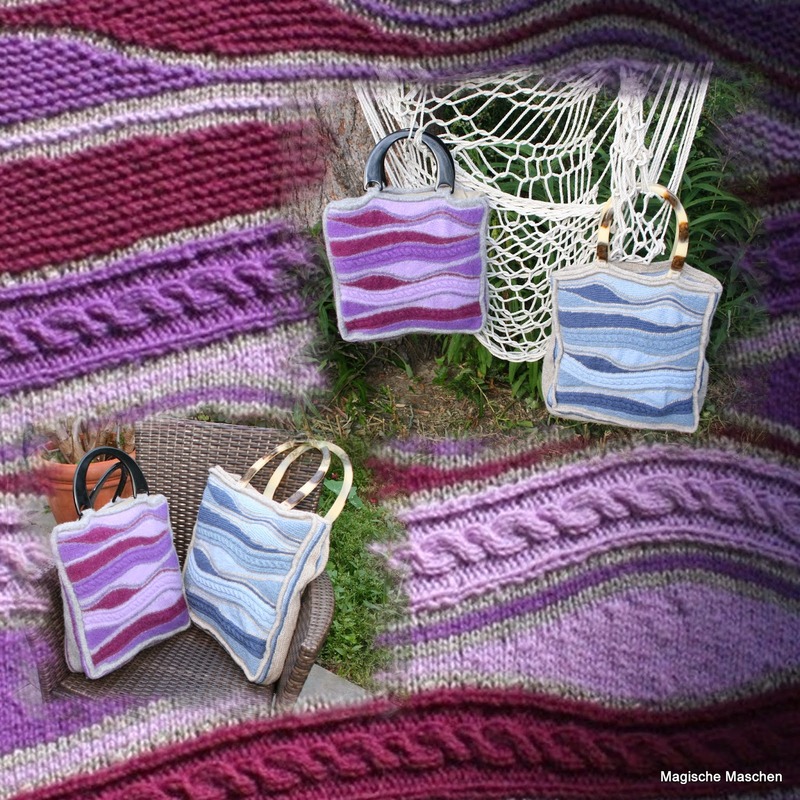 About the pricing of the patterns: The single patterns will be between 4 and 5 Euros each. As a special offer, I divided all the patterns into two pattern collections. 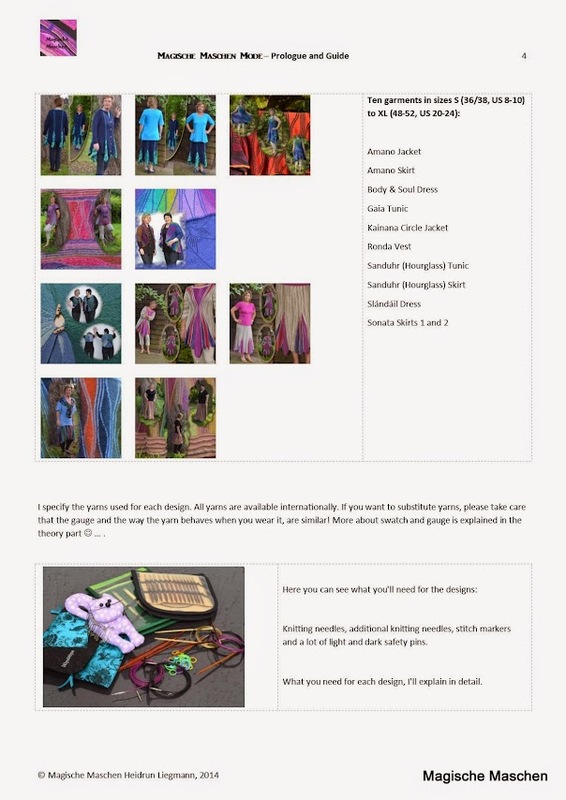 There are patterns for 18 garments or accessories altogether! There are patterns for 17 garments or accessories altogether! is not set up yet. 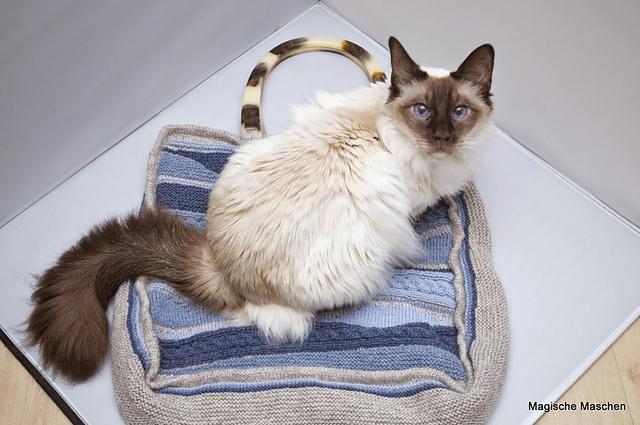 Each published new pattern will be automatically added to the respective collection. 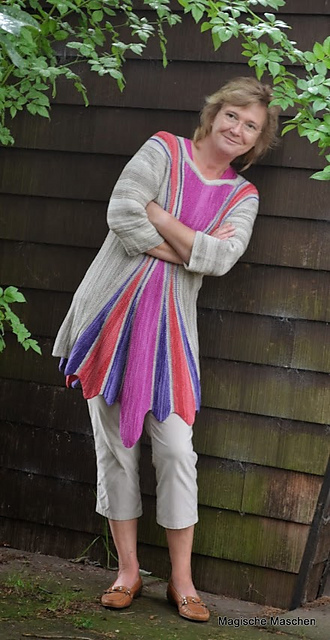 Ravelry will send you an update notice for every new pattern. 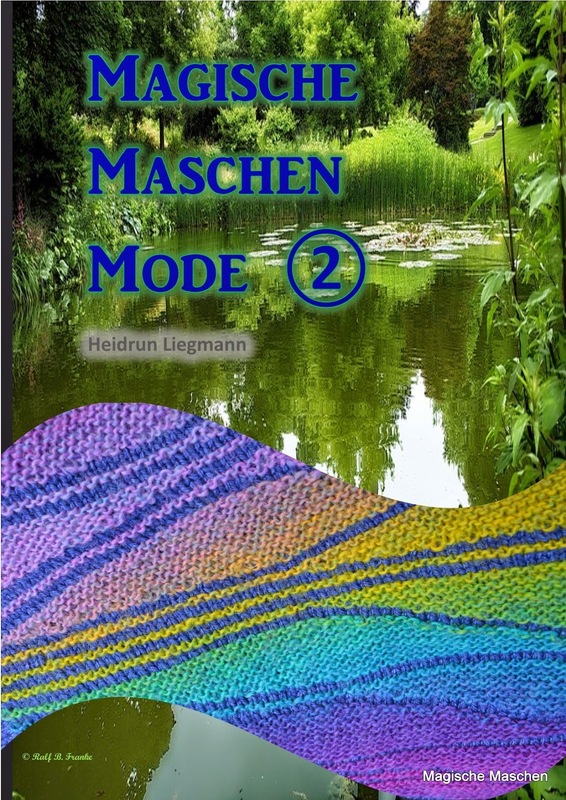 If you are not a Ravelry member or if you can’t pay by Paypal, you can ask me for my bank account details by sending an e-mail to Heidrun@MagischeMaschen.de. Please use this mail address only and don’t ask by Ravelry PM or Facebook PM. 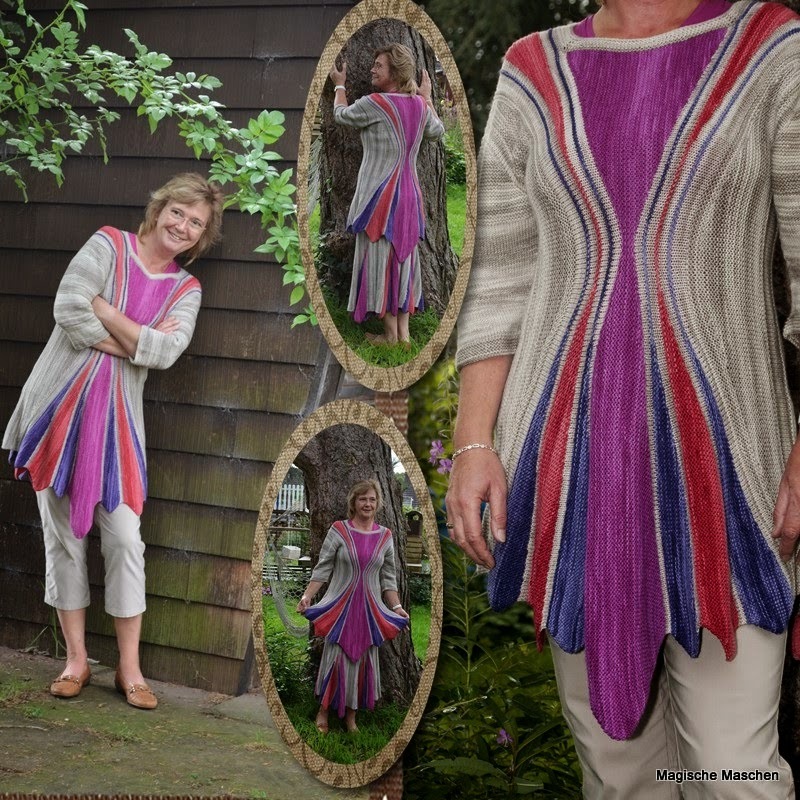 I offer both single patterns and the two PDF pattern collections via prepayment. 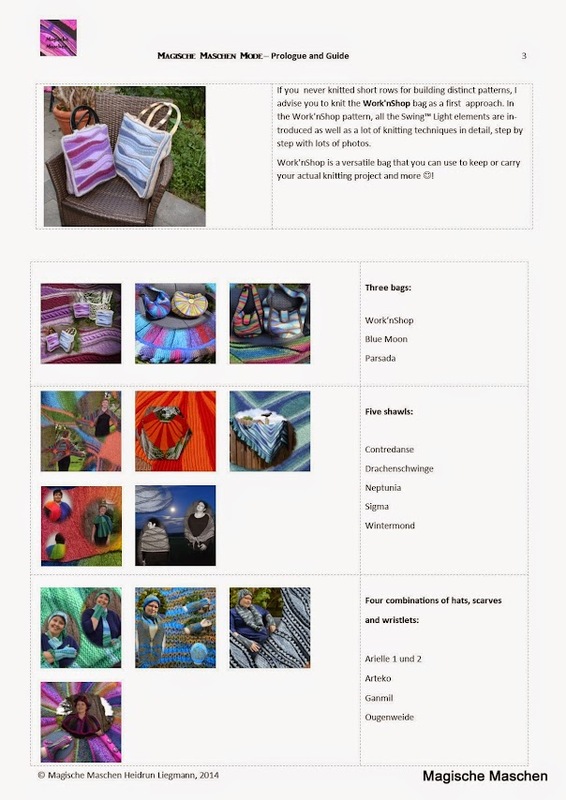 As soon as the money transfer is on my bank account, I will send you the respective patterns as an e-mail attachment. 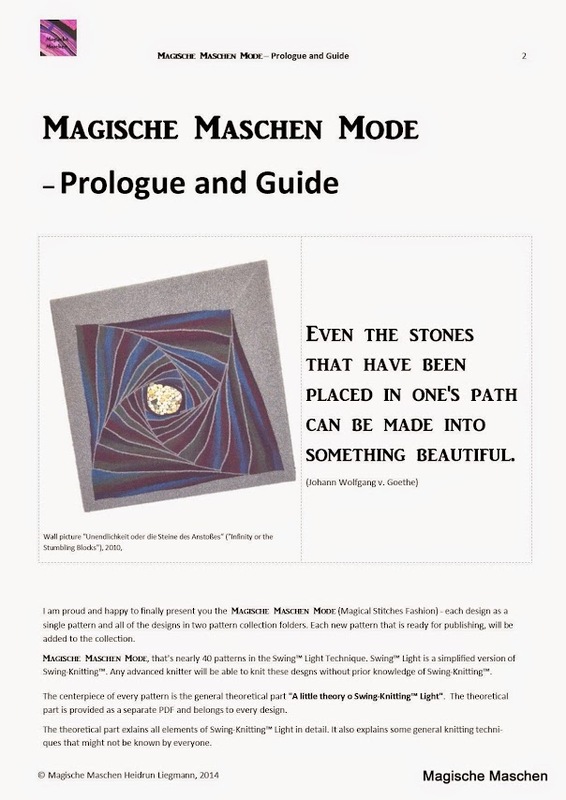 All the designs were an option for the printed book – the book Magische Maschen Mode would not have included all pattern instructions! 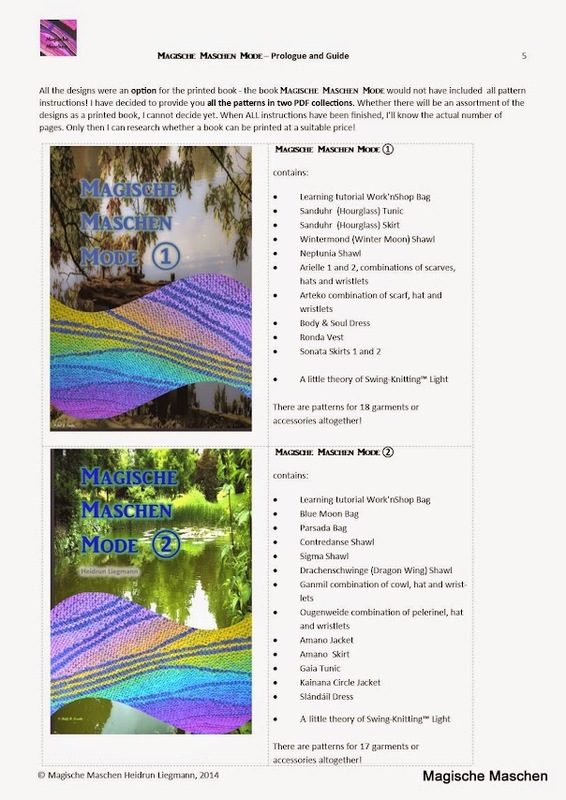 I have decided to provide you all the patterns in two PDF collections. 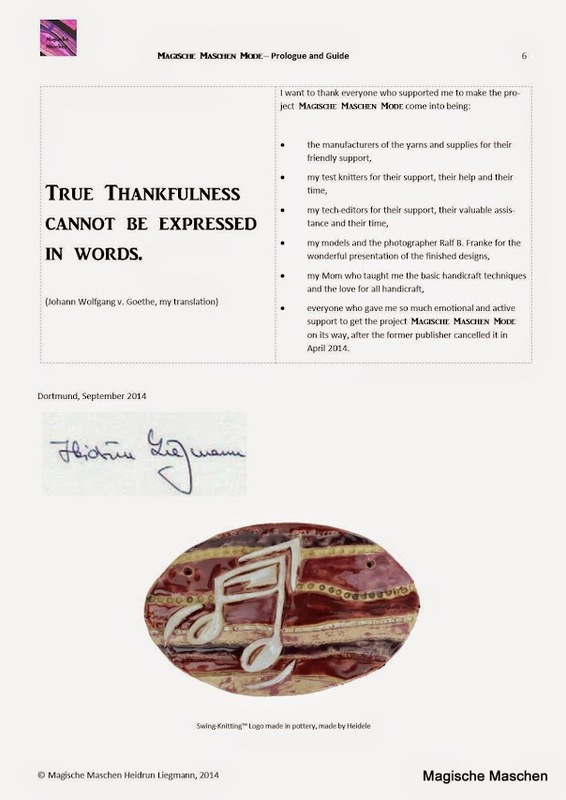 Whether there will be an assortment of the designs as a printed book, I cannot decide yet. When ALL instructions have been finished, I’ll know the actual number of pages (and colored pages). Only then I can choose an assortment for a printed version and do the research whether a book can be printed at a suitable price! 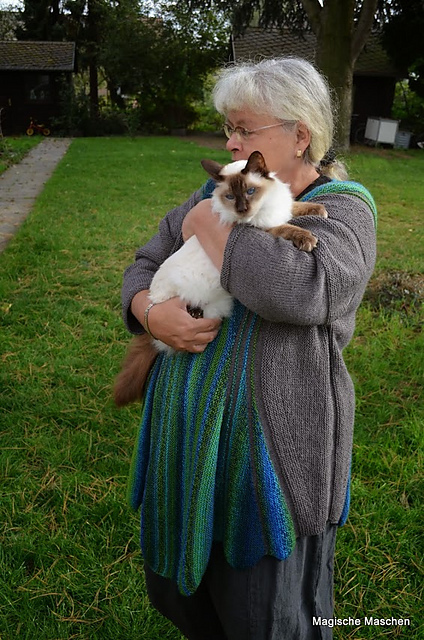 If you want to take a look at my Ravelry projects – here they are! 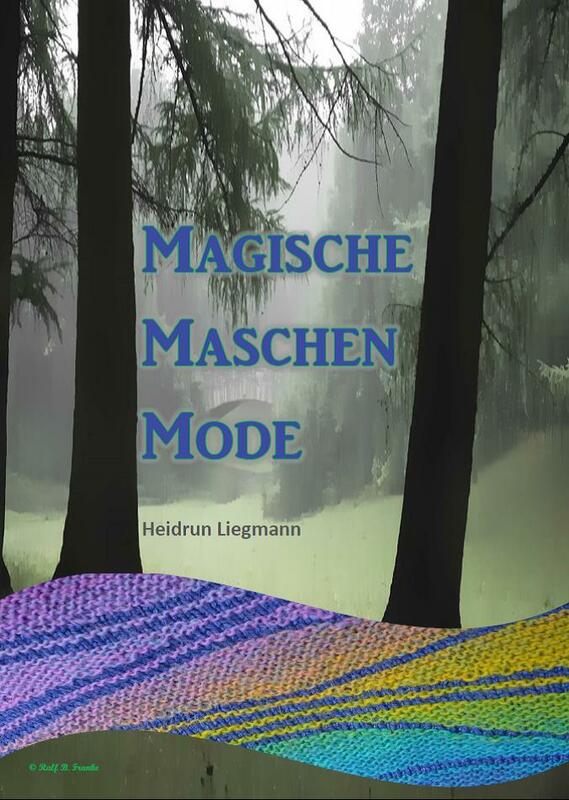 on my Blog www.magischemaschen.blogspot.com there are hot news nearly every day!